Are you an early holiday shopper, searching for that perfect one-of-a-kind gift? 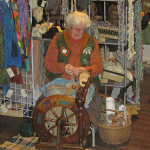 Are you a knitter, weaver, crafter or want to become one? Are you looking for a unique outing that the whole family can enjoy? 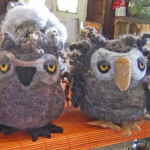 Be sure to attend the sixth annual Little York Fall Fiber Arts Festival coming up on October 14 and 15. This fine arts and crafts festival will be held at the Little York Pavilion in Dwyer Memorial Park at 6799 Little York Lake Road in Preble. It will be hosted by the Board and Guild of Cortland Repertory Theatre with proceeds benefitting the theater’s seasonal expenses. 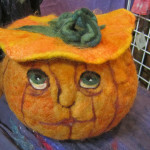 The festival hours are 9:00 – 5:00 on Saturday, October 14 and 10:00 – 3:00 on Sunday, October 15. 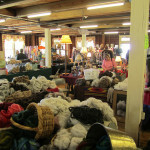 Over 30 vendors from New York, Pennsylvania, West Virginia and Connecticut will attend, selling a wide variety of fiber products including yarn and knitting supplies, raw wool and roving for spinning, felting supplies and crafts, unique jewelry, handcrafted holiday decorations, and handmade knitted items including mittens, scarves, socks and shawls. 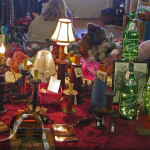 Also available will be all-natural gift ideas such as pottery, maple products, and herbal soaps and lotions. 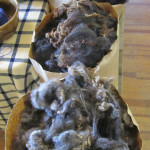 Some vendors may also have their fine-wool sheep on display. There is a $5.00 entrance fee. Youth 12 years and under are admitted free of charge. The CRT Guild will have a refreshment counter available with snacks, coffee and warm beverages as well as light lunch offerings including soups and hot dogs. Individuals attending should be aware that many vendors only accept cash or checks (not credit cards) and there is not an ATM on site. What better way to start planning early for an exciting holiday season with one-of-a-kind gifts for your friends and family while supporting your favorite local theatre? For more information, call Cortland Repertory Theatre at 607-753-6161 or visit the CRT website at www.cortlandrep.org.